I purchased these overalls a few seasons ago when they first started coming back into vogue. Despite having a summery vibe though, I couldn't bring myself to wear pants during LA's warm summer. So here I am trying to make them work in the winter (although, an LA winter is hardly a winter). With boots and a sweater, I was fully covered up. The heeled boots also help the outfit look less frumpy, since overalls are pretty baggy and can really hang on a petite girl like myself. Denim overalls, Asos (old). Lace button-up shirt, Express (similar here). Grey cardigan, Madewell. Black ankle boots, Steve Madden. Statement necklace, J.Crew Factory. Hudson moto crossbody bag, Rebecca Minkoff. 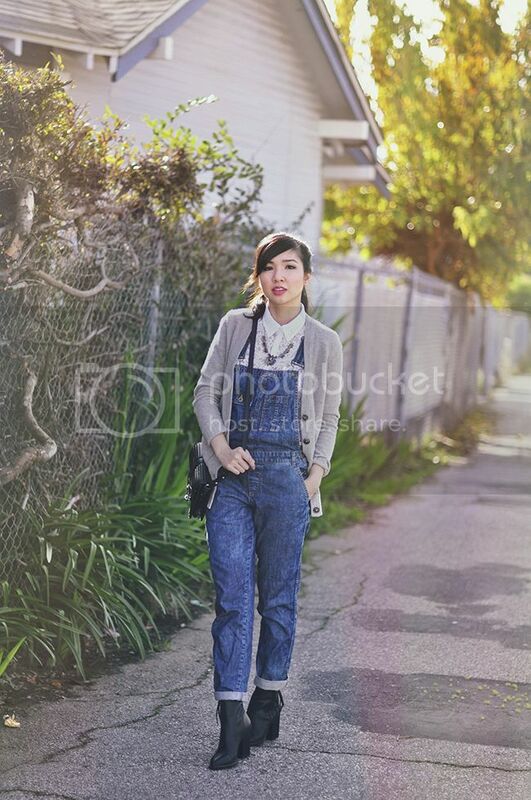 Looking lovely, I really like the overall and the boots together, they make a nice contrast! Wow I really love this look so much. These overalls fit really well which prevents them from looking fumpy or too old fashioned. 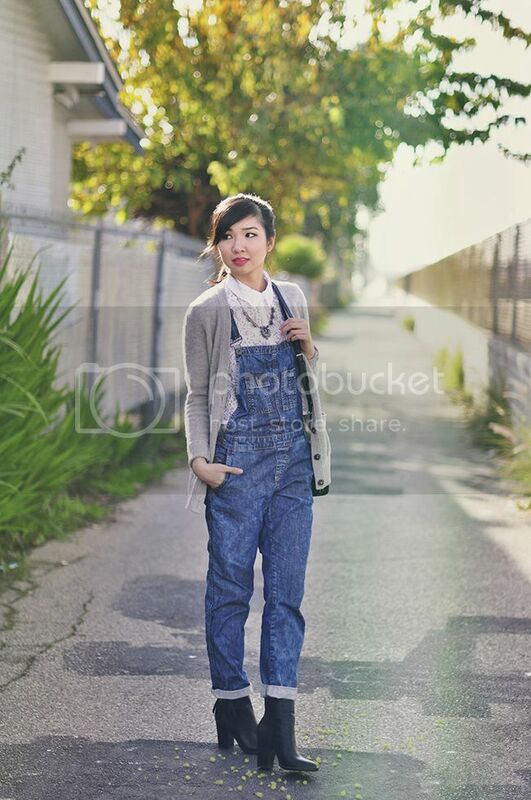 A perfect pairing for these cute overalls! I love the layered look! You wear overalls so well!! I love how you styled them for the winter as well. This is such a unique look! you have such an amazing blog, so tell me how about follow each other? Great outfit! Follow for follow? Great look, this boots is very nice! 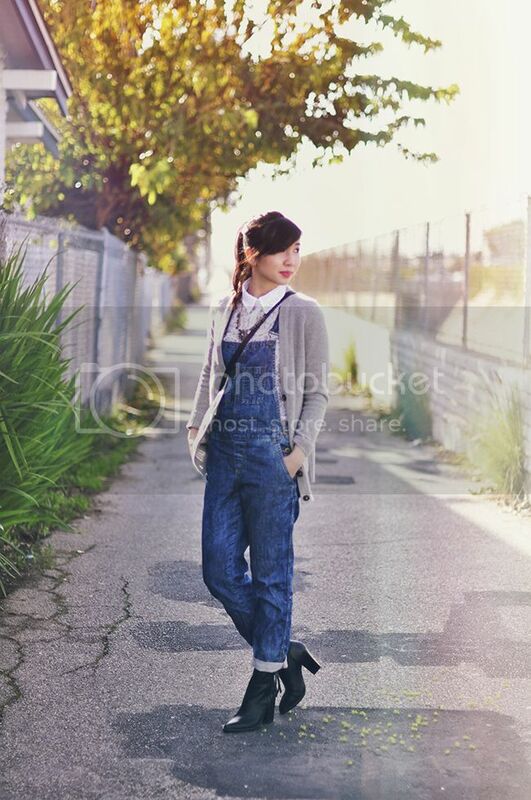 Love that the top is slightly shorter than the overalls. That little triangle of skin adds some serious texture and playfulness to all around feminine outfit. Love it! Hi, Fizz! This overalls fit you like a glove! Those shoes look good with it. Love your style! 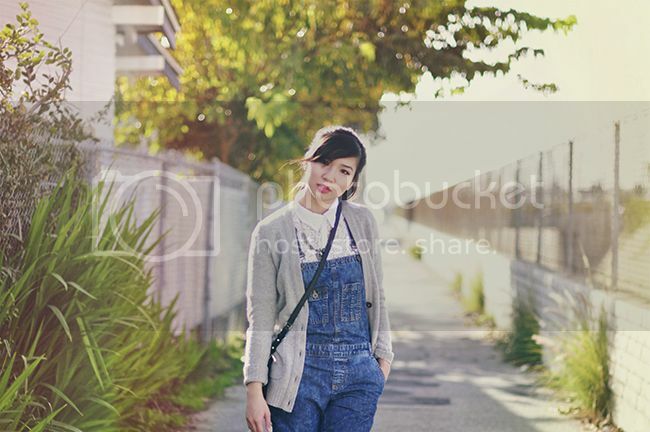 I love how you styled these overalls. I had been wanting to buy some myself when they came back in style this summer but, like you said, I couldn't try to wear them in the L.A. heat. Looking at this outfit, though, has me considering buying some for winter.